The Junior Junkie posted his best binder page and asked the rest of us to do the same. I didn't put them in an actual binder page, but I did pick my favorite 9 cards. 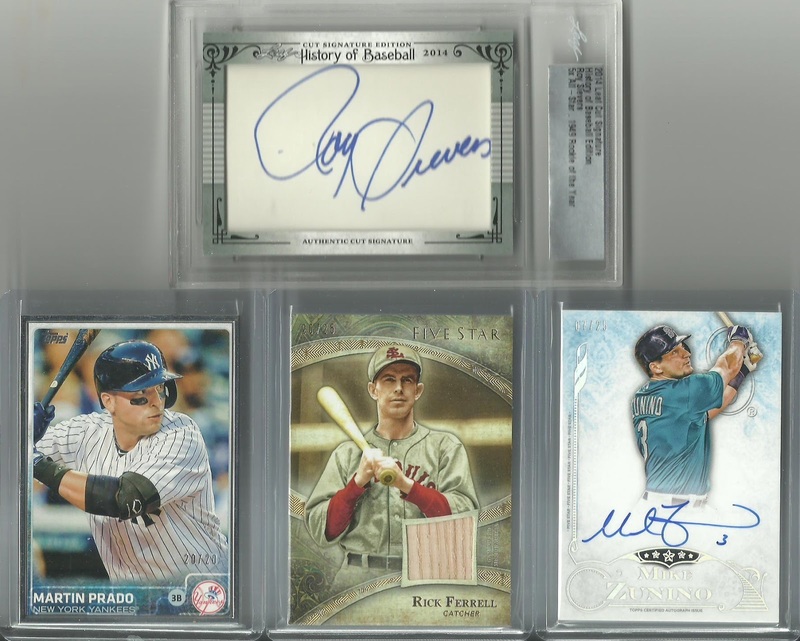 2012 Five Star Paul Goldschmidt Auto - Goldschmidt is my favorite Diamondbacks player right now and the focus of my PC right now. This 2012 Five Star autograph is probably my favorite Goldschmidt auto out of the 25 certified autos I have of him. 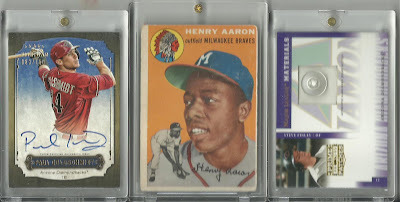 1954 Topps Hank Aaron RC - I've always been a Hank Aaron fan, but never thought I'd ever be able to own a rookie card. I picked this up from my LCS earlier this year for a great price. It was after getting this card that I decided to go after ever Topps Hank Aaron base card. 2005 Prime Patches Steve Finley Button - This card represents my 2005 Prime Patches Steve Finley collection. I have 19 different versions of this card, including jersey, patches, autographs, 1/1's, jersey tag, and this button. 1989 Upper Deck Ken Griffey Jr. RC - Ken Griffey Jr. is my favorite player of all-time. As a kid this card was always out of my reach money wise, but when I got a job it was my biggest card purchase. 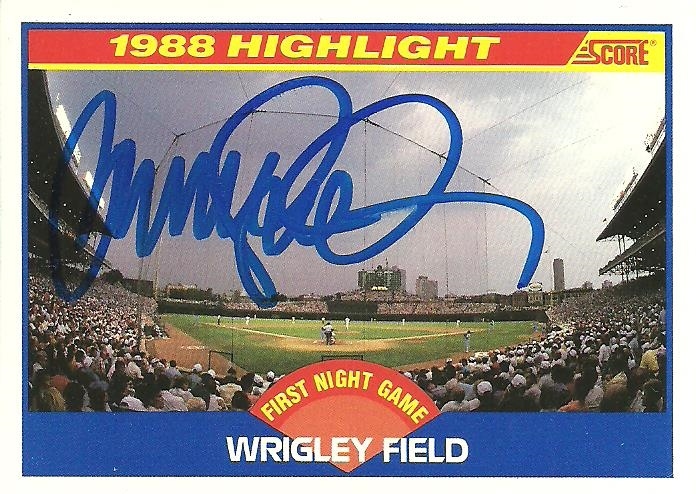 I bought it at the peak of his popularity for $150 (the most I had ever spent on a single card up to that point) and it's the only card I ever sent in to get graded. It came back an 8.5 and so I eventually busted it loose. 2001 Upper Deck Hall of Famers Babe Ruth Bat - This was a big purchase for my 500 Home Run Club Bat Card Collection and one of the last cards I got to complete it. 1968 Topps Johnny Bench RC - This is another recent addition of a card I've admired for years and never thought I'd actually own. I love picking up vintage Hall of Fame rookie that are well loved at great prices. 2007 Upper Deck Sweet Spot dual signature card of Brandon Webb and Chris Young - This card represents my Brandon Webb Collection. I love Sweet Spot and this is a cool low numbered dual autograph featuring Webb and fellow D-Back Chris Young. 2012 Prizm Ryan Roberts Finite 1/1 - This card represents my Ryan Roberts collection. Roberts was a fan favorite here in AZ during his 2 seasons with the Diamondbacks. He didn't have many cards before his time with the D-Backs so I decided to become a Ryan Roberts super collector. This is one of 11 Ryan Roberts 1/1's that I have, but it's the only non printing plate, so that's why I choose it. 1961 Topps Roger Maris - I've had this card for a long time and it's always been one of my favorites. During the summer of 1961 this would have been the card that all the kids wanted as they followed Mantle and Maris's home run chase. So there it is. My best binder page. There were lots of great cards that didn't quite make the cut. This was tough. Thanks for the idea Junior Junkie! I got these cards back signed from former Suns legend, "Thunder Dan" Majerle. 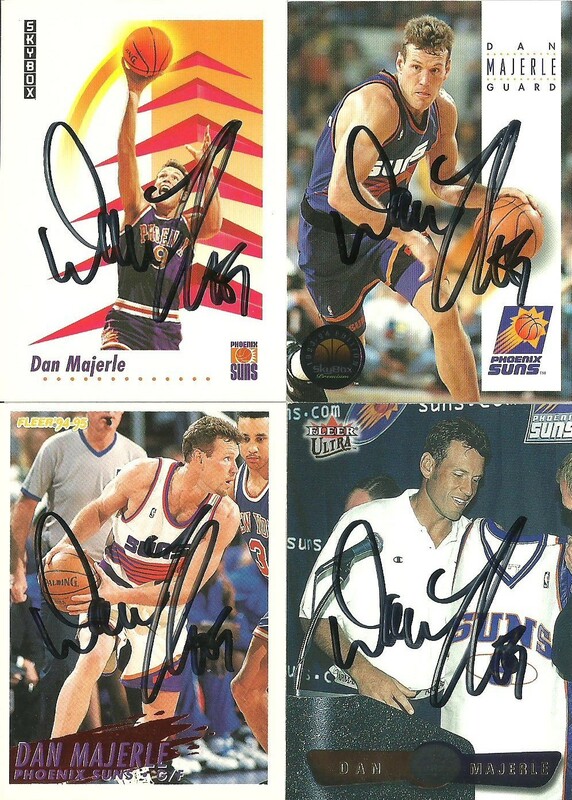 Majerle was always a favorite of mine with the Suns when I was growing up. I'll always remember him as a 3-point shooter who hit shots "from downtown", as called by legendary broadcaster Al McCoy. These came back in a week or less. 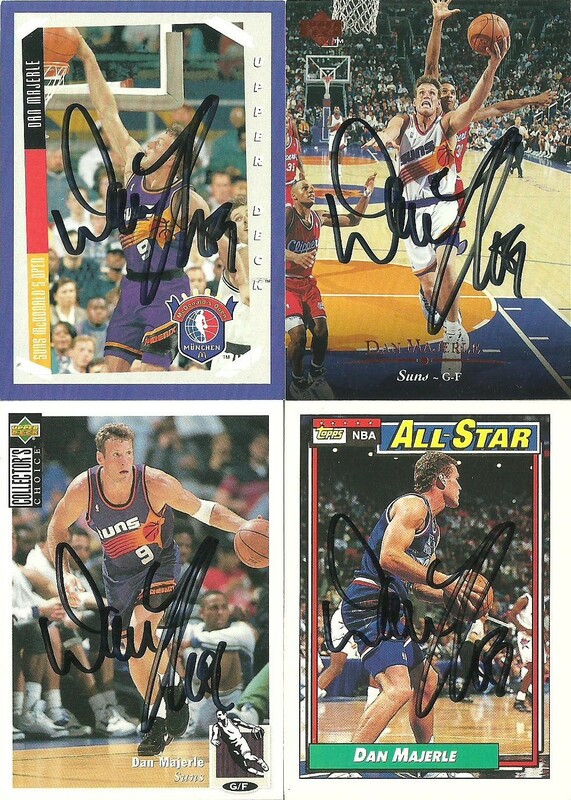 He is currently the head coach of the Grand Canyon University men's basketball team, but I sent to him via one of his restaurants here in the Phoenix area. It took me three tries and $5, but I finally got Hall of Famer Ryne Sandberg back for my First Night Game at Wrigley Field project. This time it took less than a week. Just need Mitch Webster, Damon Berryhill, Manny Trillo, and Darrin Jackson. Just a reminder about my contest that ends tomorrow. I've only had one person participate through my blog and a few others through my YouTube channel. 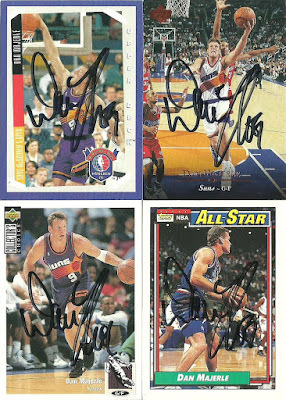 I realize the contest is not sports related, but the prizes certainly are, so be sure to enter! Here are the possible prizes! I'm holding a contest to support a friend of mine and his band: Safe, So Simple. Check out the video for a couple different ways you can win some sweet cards! The first 3 people to pre-order the EP and shirt will get to choose a card. The first person that pre-orders and lets me know will get first pick and so on. I will be confirming that a pre-order has been placed. 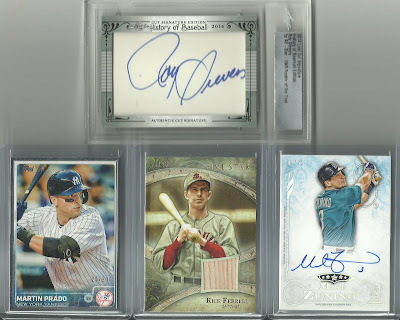 Everyone that subscribes to their YouTube channel and likes them on Facebook and leaves a comment below will be entered into a separate drawing for one of the cards. I will end the contest one week from today on Sunday, November 15th at 3 pm. This will be posted via YouTube and my blog, but you can only enter on one platform. Thanks and good luck!